I’ll be the first to admit I haven’t been in the games industry for long… but the one thing I have noticed since jumping into the indie world is that more often than not, little time is put aside to plan or consider the best way to go about making game ideas into successful, profitable products. You hear the same frustrations come up: we ran out of time and money; we received so much negative feedback on the early release; it would have sold better if ‘x’ wasn’t released at the same time. At the end of the day, we all want and need to get paid so we can go on to make bigger, better and more creative games, so how do you avoid spending all of your time and money on something people are not going to play? Should developers think like marketers? On a Future Games Summit panel discussing game investment and funding trends, co-founder of Kuju Startups Fund Travis Winstanley made the point that games developers should think more like marketers. The competition is too high not to be showing proof of concept when trying to raise funds. Absolutely valid — we should consider marketing aspects such as audience and how the game will be communicated and sold to the public, but what I think is even more valuable at an early stage, is for developers to consider product management principles when assessing the validity a new concept. This is how we’ve been approaching the recent development of Cone Wars — and while we don’t have a ‘product manager’, integrating these principles and processes into our workflow have honestly played a big part in getting to where we are today. Product managers are responsible for “defining the right product at the right time,” and for a game this means developing the right features, for the right audience and utilising the most relevant technologies and techniques. One of the first things a product managers does is to start testing ideas. And this isn’t anything to do with QA. Got an idea for a game? They might set up a Adwords or Facebook campaign to see if people are actually interested in the concept (even if the ad leads nowhere). They also might go out and interview a handful of people to test the assumptions you’ve made about what they actually want from a game (and feed it back into concept development). Product managers have to figure out what’s absolutely essential to make the product a success and balance it with the business need of getting it out on the market as early as possible. They also have to make decisions on how to best achieve the level of quality required for people to want to use or purchase that product. When you’re an indie studio — efficiency is key. 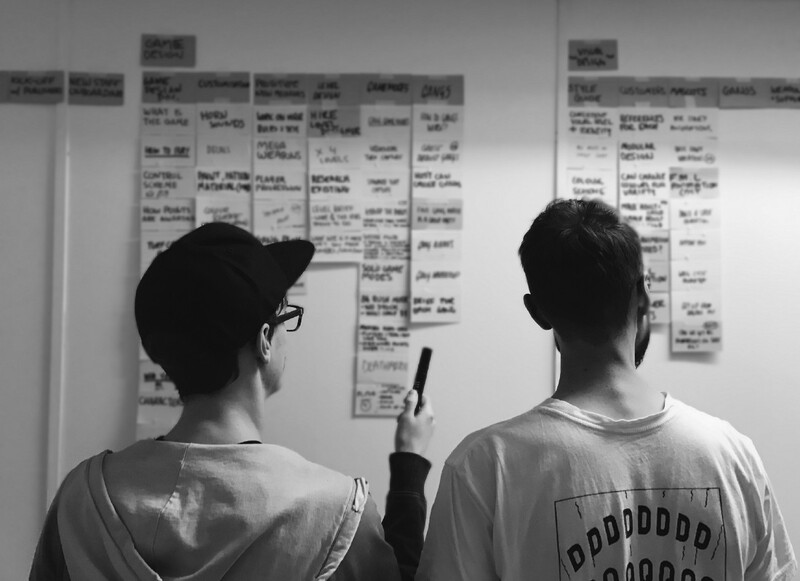 Putting together an informed and thoughtful plan to get you to an early or first release can be the difference between starting an income stream to help fund further development… and having to close your doors because you took on more than what was feasible. 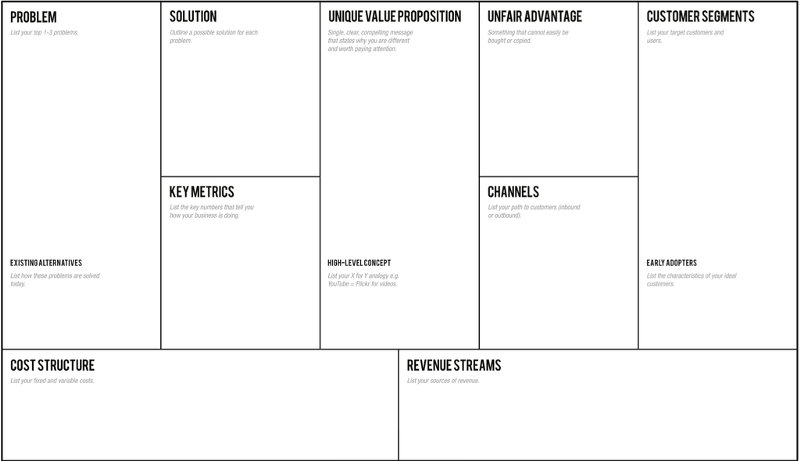 Many product managers use a Lean Canvas to explore a new idea for a product. It’s a simple one-page document, that you can draw-up, stick on the wall and add to and change over time as it develops. What problem or need is your idea solving or fulfilling? Is there a gap in the market? How does your game fulfil this need? Who will want to play this game? Who will want to buy this game? When and how will people play it? What’s unique about this game compared to other similar games? What’s unfair advantage do you have that will make it a success? Where will people buy the game and how will people find it? How do you plan on making money? What’s your revenue model? Write an elevator pitch to help you clearly explain the game and what it offers within 30 seconds. Can you catch someone’s interest a sentence? Decide on the fidelity of your first release. Think about what is absolutely necessary to include in the game before you release it. 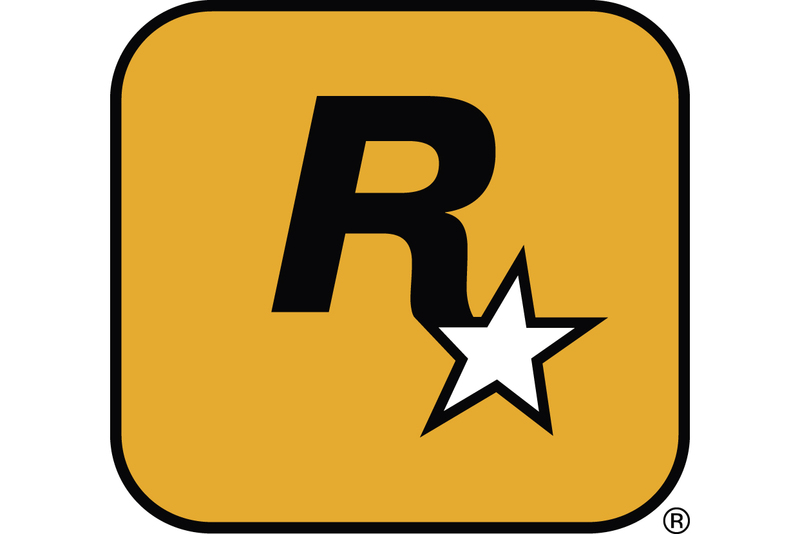 Will it benefit you to do an early release and then continue developing the game with real player feedback (and revenue) in mind? For example, you could cut multiple budgets in half by launching with 5 levels instead of 10. This will increase the team’s understanding and ownership of the potential project ahead and get them thinking about how to solve potential problems before they present themselves. 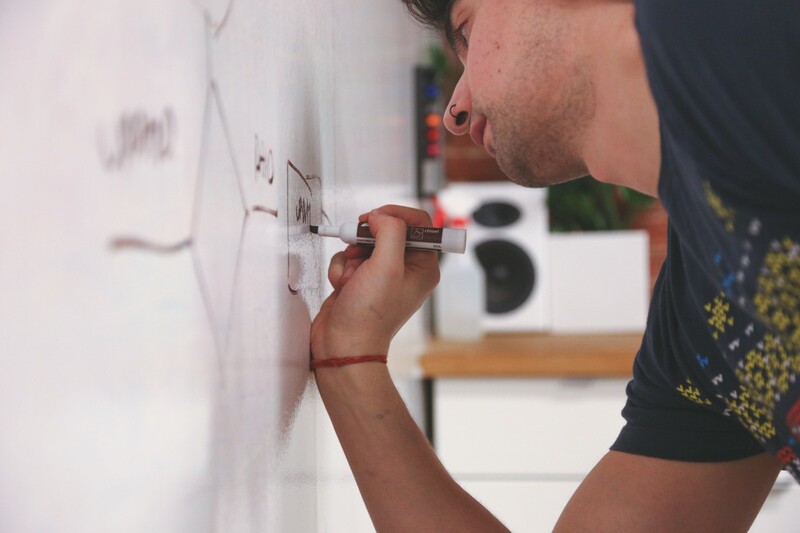 Why are product management principles often overlooked? Indie studios are more often than not small teams (if a team at all), which means people perform multiple roles. Often, first hires are the makers — developers, artists and designers who tend to have less experience in strategy, marketing or business management (and nor should they!). It’s not until you land a publishing deal or funding that you can afford much more. And generally, the first instinct of makers is to make something when an idea is discussed, which is great when you’re talking prototyping, but things often get carried away and before you know it… you’ve built something without any form of testing or validation from the people who might actually play it. And you’ve run out of money. I’m definitely not saying that you won’t have any success if you have a truly great concept and just make it, BUT these kinds of considerations and activities could change the level of focus and motivation you see from your team, the type and level of funding you can raise, and the speed in which you get your game out to market. 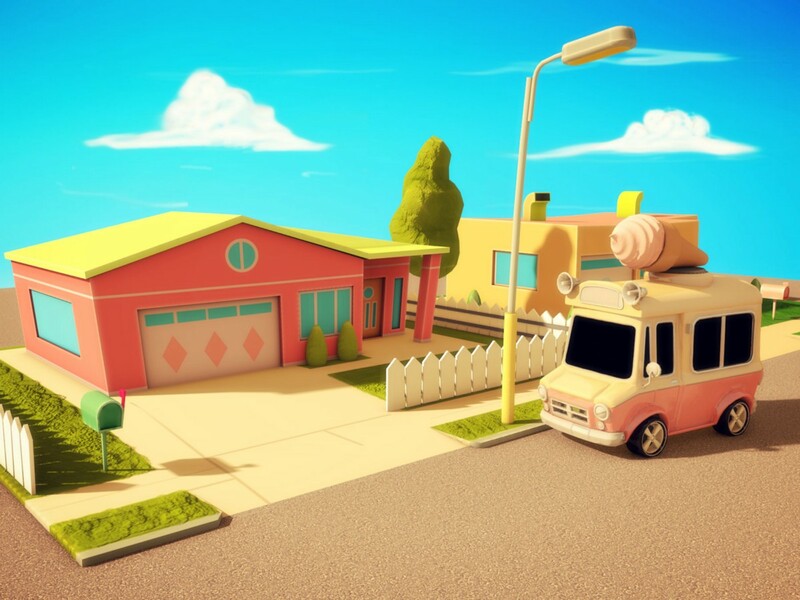 Check out Cone Wars, our ice cream truck turf wars game currently in development for PC/Mac! Sign up for the latest Cone Wars updates and check out the latest dev diary.